Did you know that Black Friday is the biggest shopping day of the year? We don’t think it’s fair to only have one day to save, so we’re offering special savings all week, and extended store hours this weekend at our eleven Star Furniture & Mattress stores. At the Star Furniture Black Friday Furniture Sale, you’ll save 20-60% on everything in the store, and have the opportunity to receive special financing and gifts with your purchase. The Albany Sofa (pictured left, in truffle) is one of our best Black Friday deals ever. It features elegance, comfort, and the soft touch of chenille fabric. Hosting a holiday party this year? 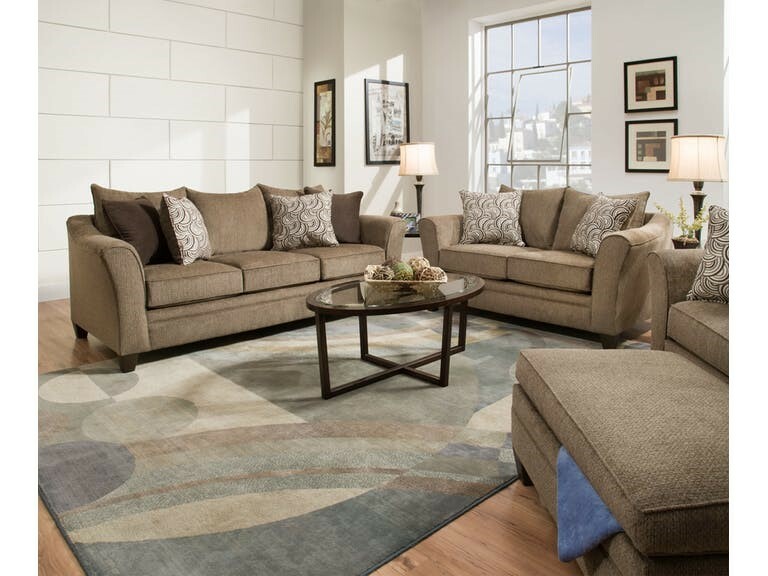 Add the Albany loveseat (pictured right), and provide extra space for your guests to relax while you entertain. Both the Albany sofa and loveseat are on sale for Black Friday, right now. Prefer leather to fabric on your couch? 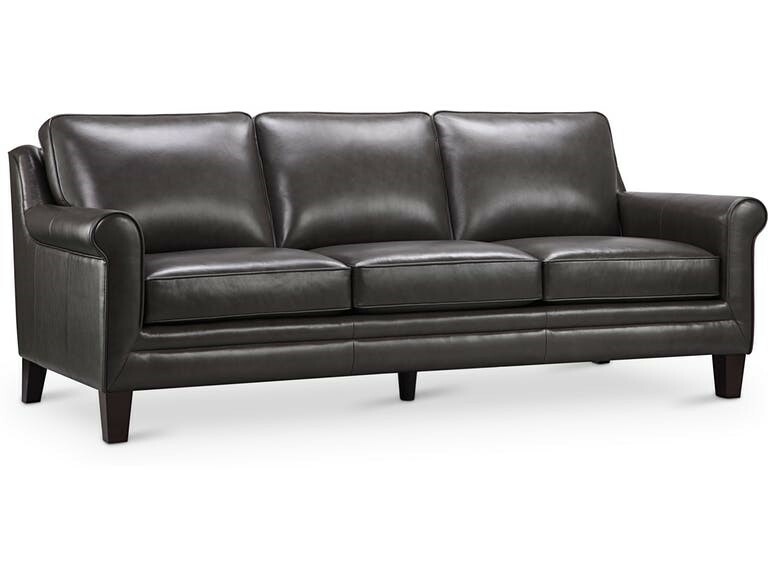 Then don’t miss the Grandover Leather Sofa, which is upholstered in 100% genuine leather. Use this couch to wow guests in your living room, family room, or to provide additional (and comfortable) seating in your man-cave or study. 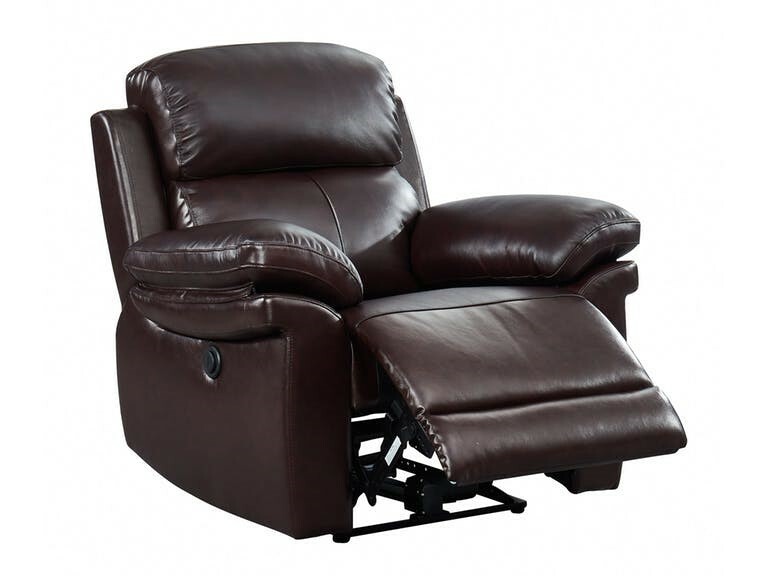 Black Friday deals continue on genuine leather, with the Kenan Leather Power Recliner. This recliner features 100% genuine leather everywhere the body touches, a USB charging port, and a one touch power recline feature. Thinking about sprucing up your dining room before the holidays? 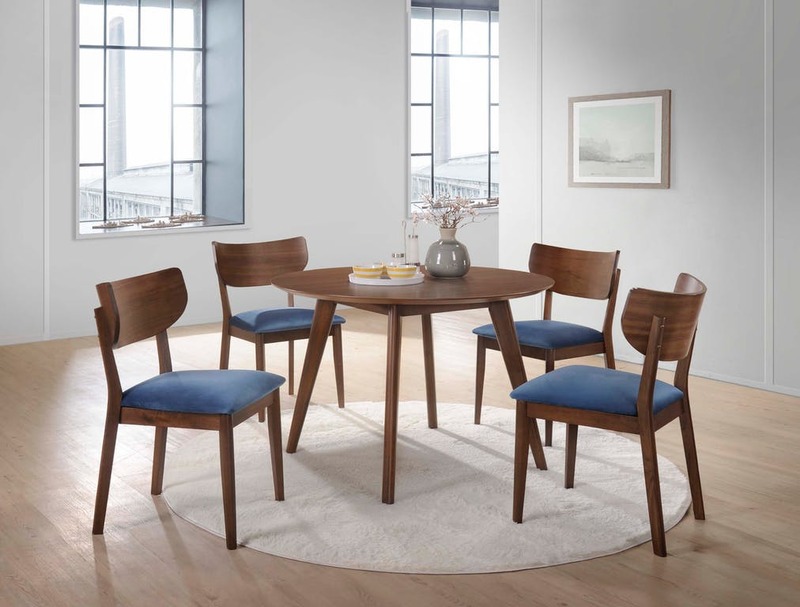 This 5-piece dining set features a round wooden table and four sturdy chairs, complete with beautiful blue velvet cushions. 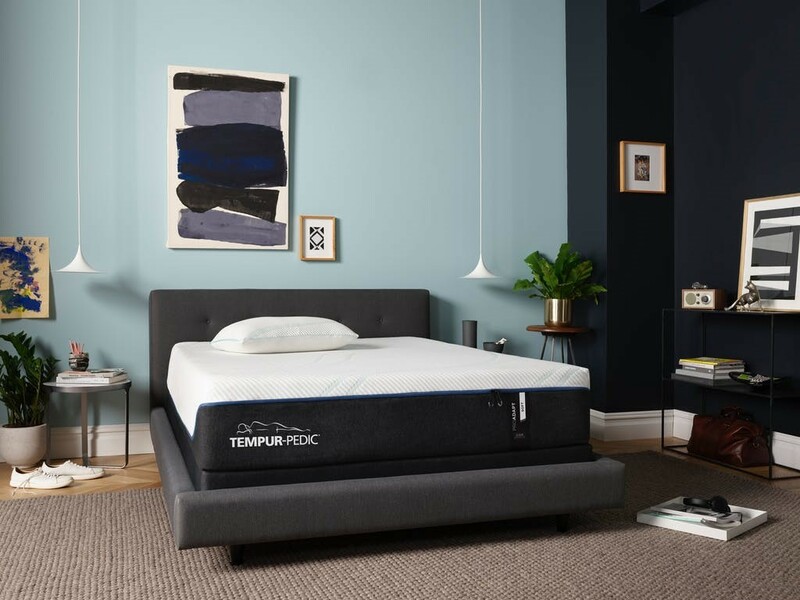 Whether you’re upgrading your guest room or buying a new mattress for yourself, you can’t go wrong with this firm memory foam mattress from Tempur-Pedic. Not only does it have pressure relieving power and superior motion cancellation, but it also comes with a dual cover system to help keep you comfortable through the night. This mattress as well as many others have special Black Friday only savings. See how much you can save on furniture and mattresses in our Black Friday flyer. While you’re shopping our Black Friday Furniture Sale, you can also make the most of our year-round perks, like complimentary interior design services from our team of home design experts. You can even use our free room planner tool to help you visualize the room of your dreams without the hassle of moving heavy furniture pieces. Stop by today and start saving!